Hydraulic workshop presses can be found in various manufacturing environments, often for a very specific type of application. The activities and circumstances determine which hydraulic pump is required for the workshop press. For safety reasons, pneumatic hydraulic pumps can be used in moist, humid or hazardous (explosive) areas. The right workshop presses have the optimal opening width and – and height for the industrial activities. The tool’s flexibility as regards settings and a large choice of components are factors that will determine which type of press you have to select. Laco delivers Enerpac workshop presses. These hydraulic presses have high-quality press frames and (optionally) a manually operated safety valve with automatic central position. The Enerpac hydraulic workshop presses are available in capacities ranging from 50 to 200 ton. Enerpac presses offer more flexibility than those of other brands; there are various hydraulic pump options and the hydraulic components can also be used separately. If you are planning on purchasing a workshop press, please ask a professional Laco employee for advice. 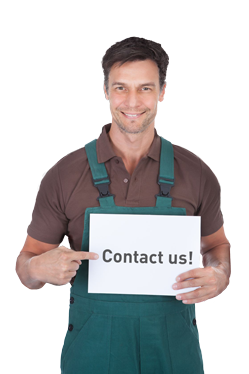 He can help you select the workshop press that meets your wishes and requirements. He can moreover advise you on press operation and maintenance. Laco can deliver the best workshop press and will moreover offer you tailored advice and a first-class service. 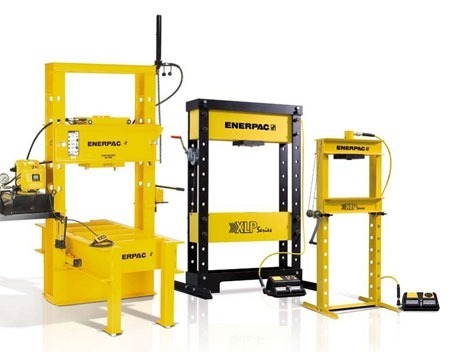 Enerpac VLP and XLP bench and workshop presses are known for their high quality and flexibility. XLP – the XLP presses shave a side-to-side (horizontal) width adjustment ability, and the height of the presses can also be adjusted by means of a winch. These presses can also be delivered with a foot pump. The press can be easily moved thanks to the recess (for transport with a forklift) in the press frame. VLP – the workshop presses from the VLP series are the perfect presses for heavier loads, ranging from 100 to 200 ton. The height of the lower bed of these presses (with double-acting cylinder) can be adjusted by means of the “Hydrajust” technology. All VLP workshop presses are standard equipped with an integrated pressure gauge.